Everyone is constantly looking for ways to reduce their expenses, but spending less is even more important in poor economic times. Luckily, there are a wide variety of ways that you can reduce the amount of money you spend on your monthly bills. 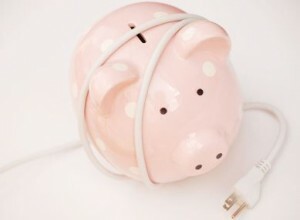 These are the seven ways that will reduce you bills the most each month. Your energy bills get inflated every month due to air escaping your home. If air escapes your home, then your air conditioner or furnace has to work harder to keep the home at a proper temperature. Make sure you seal around your windows, doors, and any other areas of your home that air might be escaping your home. You also may want to consider buying new windows or doors from places like Comfort King Ltd. in the event that sealing may not work or be enough to save your household money. It may be tempting to do a small load of laundry to get your favorite piece of clothing clean, but doing this often will drastically increase your water bill. This is just wasting water and energy that could have been put to better use with a full laundry load. There are a lot of choices when it comes to internet and television, but it is best to get these services from the same company. Bundling them together will bring a major discount each month. If you are one of the few people that still has a land line phone, then it is time to eliminate it. There is no reason you can’t get rid of the expense by using your cell phone or Skype to talk when at home. It may be scary to increase the deductibles on your insurance, but this is a great way to reduce monthly expenses. You are not going to have to pay the full deductible on your insurance very often, and the money you save each month on your bill can be put in an emergency fund. Most people do not realize that electronics still used energy when turned off if they are still plugged into the wall. Unplugging all unneeded electronics when you go to bed will cut down on the electric bill. The car payment is one of the highest monthly bills for most people, but this can be eliminated by downgrading your car. There is no need to pay an outrageous car payment when you can most likely find a safe and reliable vehicle for much cheaper. If you adhere to this guide, then you will have no problem reducing your monthly bills. All seven options are very easy to implement, and reducing your monthly bills will go a long way to improving your life.